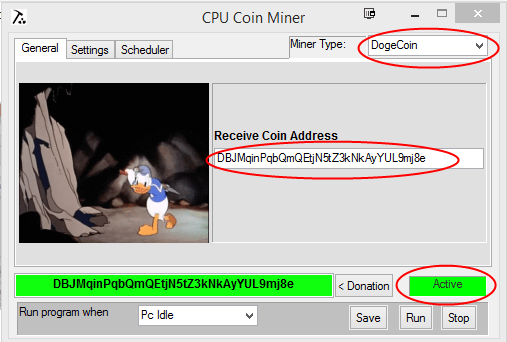 Hey guys this Is a updated Guide to CPU Mining as it’s been a While since i made the original. I Made the Original Guide back in Jan. 19th 2014 and it’s been a long time since then and Bitcoin and Crypto has gone up a lot Since Then! Over the years, I tried investing a good amount of time and money in Cloud Mining since i thought that would be simpler and i would not have to worry about equipment, well all of my cloud mining investments turned out to be scam’s and a lost a lot of bitcoin that way! I now just stick with CPU / GPU / ASIC mining! 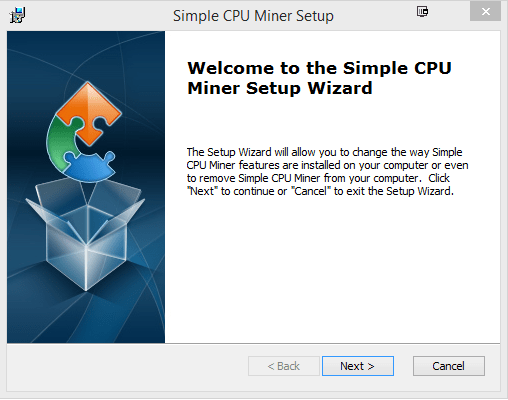 This is the DEAD SIMPLE Guide to the Best CPU Mining Software! No Special Hardware Needed, No Video Card needed, No Special Drivers Needed. Just download, install and your good to go! New to CPU Mining? Where do you Start? Should you mine with you CPU or GPU (Graphics Card) or Both? Both Good questions. Cons: increased Electric cost, loud noise, Heat, lower the life of your equipment. I recommend starting with what you have, if you have a basic system the just use that, if you have a Gaming Rig great you will be off to a better start. Give mining a good week and see if it’s something you enjoy, or are you just getting stressed out? If after the first week you are hooked then maybe it’s time to look at a ASIC Rig or a GPU Rig, if you are not really excited about mining after then then Maybe Trading Altcoins, or Buying and Holding Bitcoin is the way you would like to invest in Crypto. You can decide on which coin to mine, Because they are all using a CPU miner and not a (Graphics Card) or GPU there is no good website like CoinWarz which will tell you the most profitable coin to mine. I would recommend trying one for 24hours then switching to the next coin the mine that one for 24 hours and so on until you have tried them all and then convert those coins to USD and see what is most profitable. Over time that you will want to try again and see if another coin is more profitable. You should be saying – That seems Suspicious… Why should i disable my antivirus is this a Virus? The answer is no it is not a Virus, you can verify this my reading the comments or my other posts or my videos, or download a software called Sandboxie which will let you test out software you don’t know if it’s good or bad. All CPU Miners will show up as Virus you can verify this by leaving you antivirus on and downloading a CPU Miner from a different site you antivirus will remove it before it even downloads. I recommend disable it for at least 15min. After it is download, installed and then you will need to Exclude the install folder Depends on Software installed from future Scans. All Crypto mining software will come up as a virus, if you can find one that does not I would be a miricale. Pick one pick them all it’s up to you, depending on you CPU / GPU one might work better than another so give them all a try, but once you find one you like stick with it for at least 1 week. 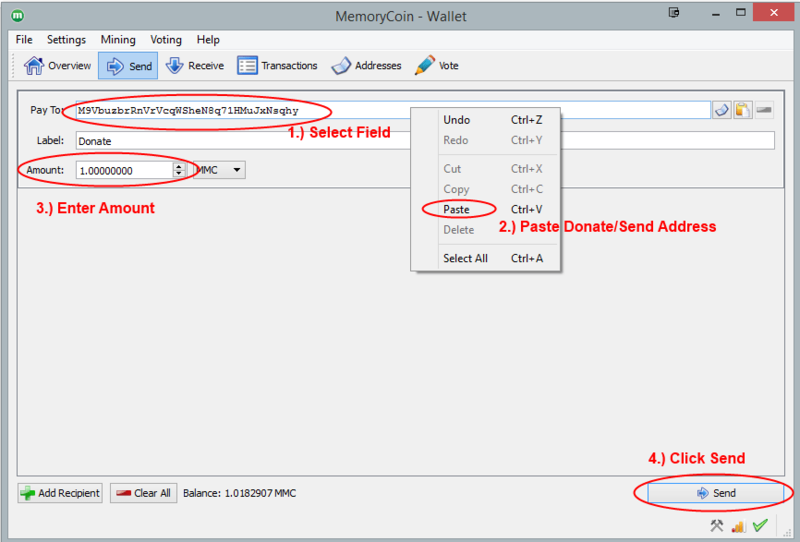 Simple to use, will give you Alt-coins and you can convert them, you will learn a lot quickly, auto mines most profitable coin. Simple clean, will payout in Bitcoin weekly, no converting to a different coin, has a high profit. No worrying about a bitcoin wallet, Paypal payout, for people who want to see the CASH! 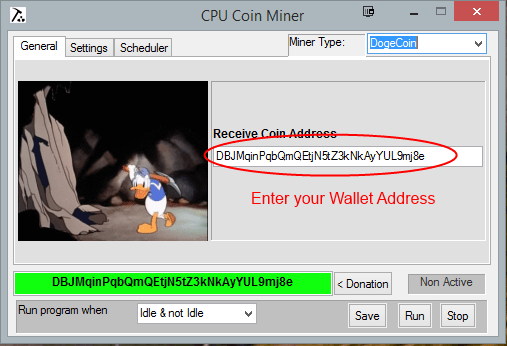 Enter your wallet for the Miner Type Selected , If you want to mine a Different coin you will need a address for Each Coin Mined. Make sure Start Program invisible is Unchecked, Make sure IDLE & not IDLE is Selected and then Run, a Dos Screen should pop up and say Yay!! After a Minute or two. 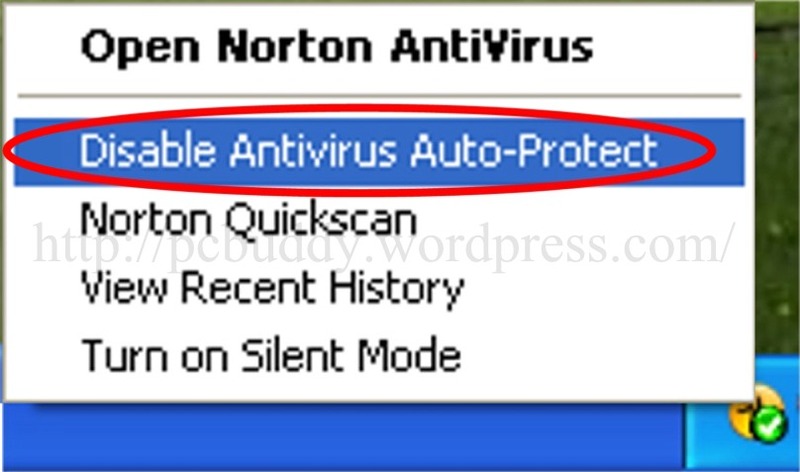 If nothing pops up check your antivirus software and try another coin see if it works then. 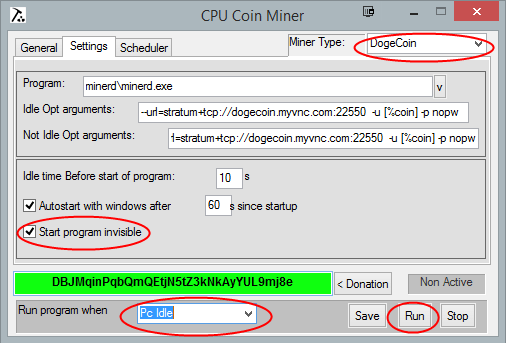 Verify the Coin you want to mine under Miner Type, check Start Program invisible, Run Program when: PC IDLE, then Click Run. 7. )Watch Keep a eye on your profit’s you should have at least a weekly payout. Some coins might come with in 1-2 hours others might take 2-3 days depending on your system speed and the coin difficulty. Good Luck! 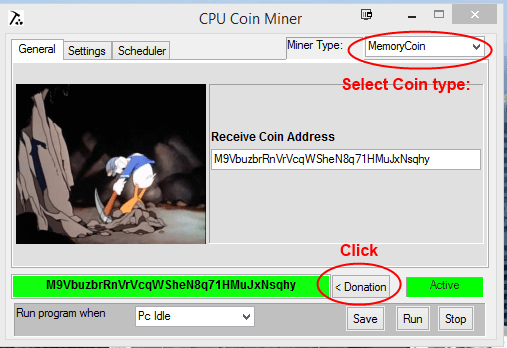 Now you have my CPU Mining Software, go and get those Coins! Let me know if you want to see any other coins added to the software or if you have any problems below. 1.) Purchase Via Coinbase. You get $10 on new signups if you deposit $100. I recommend purchasing a set amount per month like lets say $50 per month for 1 year and after that revaulate if it’s right for you. 3.) Learn more about Crypto with Reading Books and listening to Podcast i like Bad Crypto Podcast.